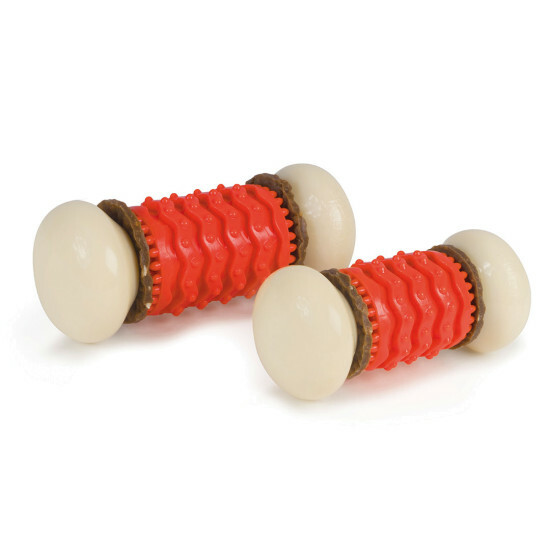 The durable Sportsmen Nobbly Nubbly, in blaze orange, gives your dog multiple treat options for longer lasting playtime. 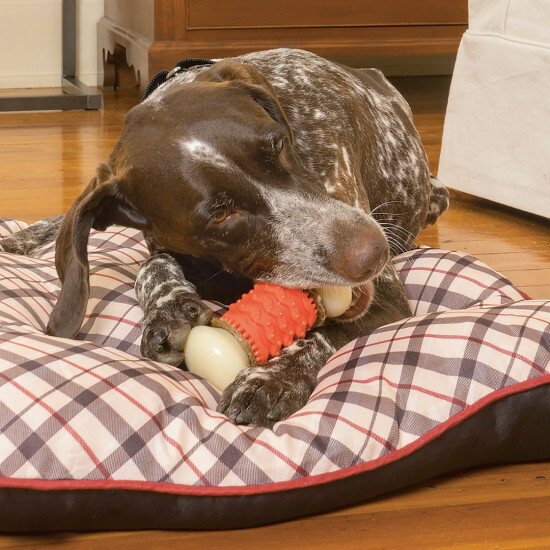 Your dog can chew on the heavy-duty nylon nobs or the softer, compressible rubber center. 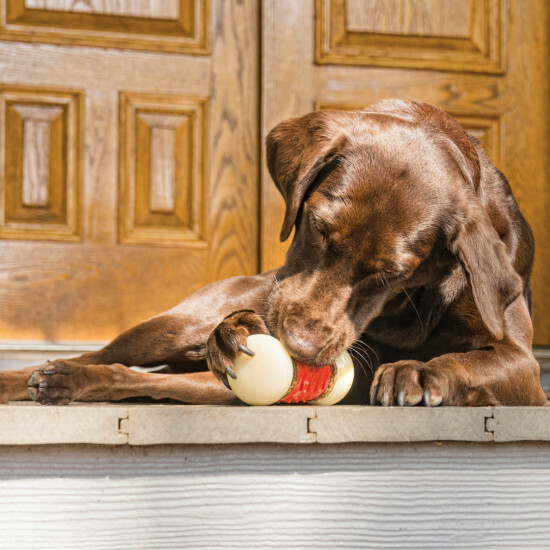 Attach Busy Buddy treat rings to the toy or fill the grooves with your dog’s favorite spreadable treat, such as peanut butter or cheese. The toy is made of durable nylon and vanilla-scented rubber. 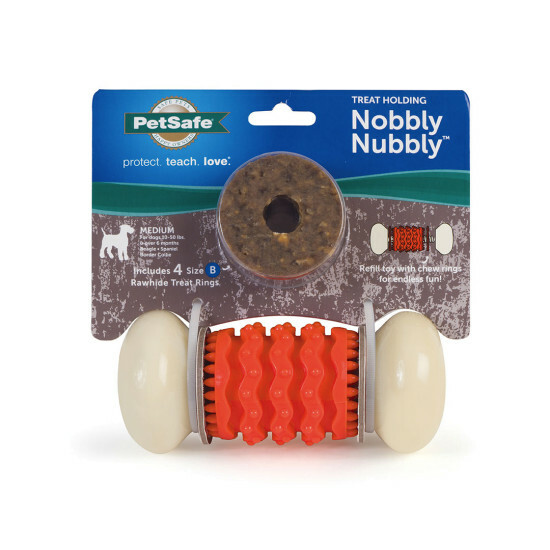 Perfect for dogs who like to chew, the Nobbly Nubbly rewards your dog for appropriate chewing with his favorite treat. New chicken-flavored dental support treats are made in the U.S.A. and help clean teeth and freshen breath. To add treats, unscrew the Nobbly Nubbly and remove the orangecenter section. 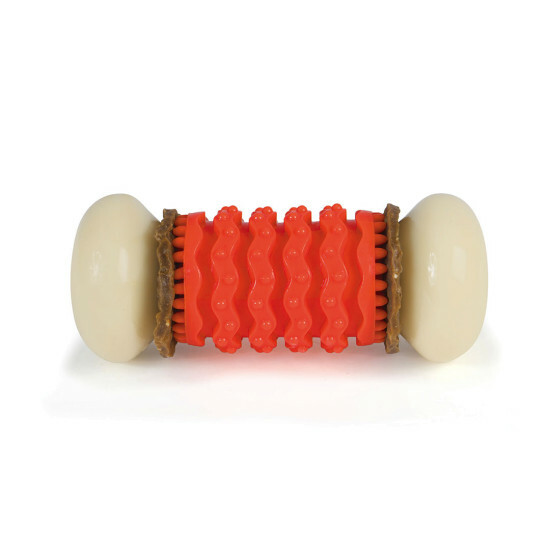 Slide on a rawhide ring on both ends of the orange center section. Screw the Nobbly Nubbly back together and let the fun begin! For more variety, fill the grooves on the center section with your dog’s favorite smearable treat.